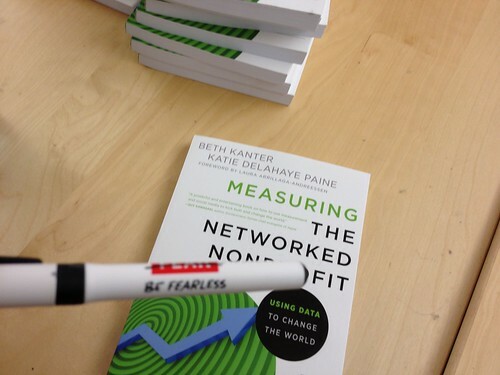 This week, KD Paine and I, did a whirlwind tour of “Measuring the Networked Nonprofit” book talks in San Francisco and Silicon Valley. Many thanks to our generous hosts including the Foundation Center/SF, Zero Divide, David and Lucile Packard Foundation, TechSoup Global, and Stanford University. Next week, KD Paine and I will be doing several public events in Washington, DC and online. Please join us! If you’re looking for a silver bullet, if you want to improve your results TODAY, begin a culture shift at your nonprofit. Marry your passion for your work with measurement. And stop relying on your gut alone to drive decisions. 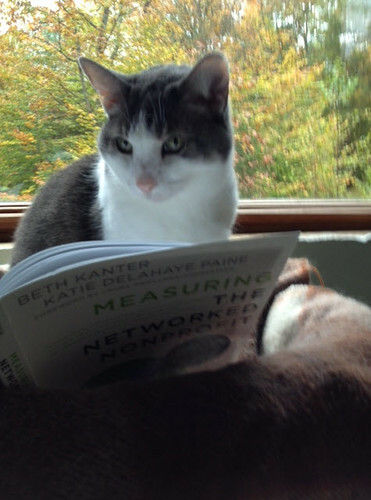 You should also read Measuring the Networked Nonprofit: Using Data to Change the World. Then go out and do what you do best with your head and your heart! I love the photos that folks are sharing with their cats and dogs and the book. Keep them coming. At the Stanford University talk last night, Connie Chan Wang from LinkedIn tweeted a new title for me — I love learning and that’s why I worked on this project, on a topic that was initially out of my comfort level as I explained in this interview with Deana Zandt. 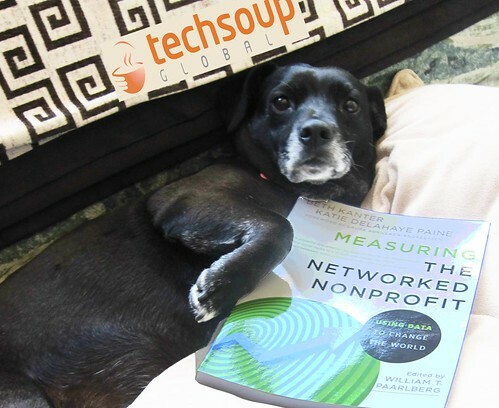 But, the most exciting thing for me (aside from the dog photos) is to read blog posts like these from Zan and John thinking about how to apply the ideas to their work with nonprofits. Join us in DC for one of the launch events and you’re not in DC, you can join us online. You can buy a copy here and if you write a review – let us know! .